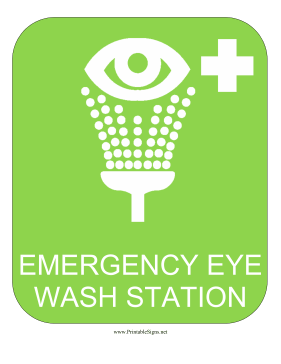 The icon is an eye being flushed with water, indicating an emergency eye wash station. The green indicates chemicals or biohazards that can be harmful or painful. People who are affected by such reactions should flush their eye at the station.